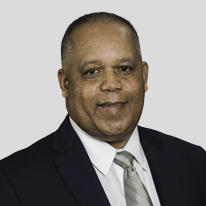 Sutter completed his BBA from Jackson State University in 1984, and in that same year made his final career move joining Penn Global Marketing. Having shown an incredible work ethic and propensity to lead people, Sutter was regularly promoted. Now as a Senior Regional Manager and part of the Executive Council he leads a team of managers and agents setting the standards for all to follow. The great Steve Job’s once said “your time is limited so don’t’ waste it living someone else’s life” and based on the success stories in the MidSouth Region, Sutter has not wasted a single minute. Tim grew up in small-town Mississippi (Mound Bayou, MS) where he learned the value of hard work, team play, and education. In high school (JFK) Tim was a four-year letterman in football and baseball. 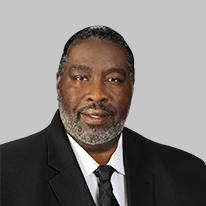 In 1985 Tim attended Jackson State University where he studied biology and was a member of the JSU cheerleader squad (tumbler) for 2 years. After Graduation Tim join the Spring Air Corporation and work there for 2 years. In 1990 Tim started his career with the company in the instant issue division. Since then Tim has managed two divisions in the company; disability and life. 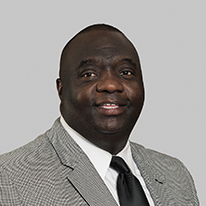 Presently Tim serves as Branch Manager in the Jackson, MS office. He has won several Presidents Club with the company and is also a Founding Member of Penn Global Marketing. James grew up in a military family and graduated from high school in Mannheim Germany. He then attended Eastern Washington University and pledged Lambda Chi Alpha. In 1977 he was in the NBA hardship draft and joined also joined the Armed Forces. He then continued his basketball career in Auckland New Zealand. By 1987 James was looking for a new career and was selected to join Penn Global Marketing in Dallas Texas. 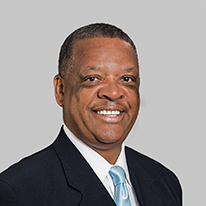 After becoming successful and winning many President's Clubs in Texas, James moved to Atlanta and joined Sutter Smith and the Mid South management team. Marve's story is a little different as his father is the highly successful leader of the Mid South Region, Sutter Smith. Although he had been on some sales presentations since he was 8 years old Marve was told he was not going to be considered for a career position until he earned his college degree. So while attending Jackson State University he began working with the company, when he could, around being a full-time student. When Marve graduated in 2012, he interviewed, was offered then accepted the opportunity to launch his lifetime career with Penn Global Marketing. Since then he has been able to become a “Star Achiever” and “President’s Club winner”. Marve is married to Dereka Carroll-Smith and they live in Mississippi. Jerry has lived in Mississippi all of his life. He owned a Texaco service station prior to joining the company and served in the United States Army Reserve for 21 years. After returning from Operation Desert Storm in May 1991 he sold his business. Jerry wanted to find an organization that offered an opportunity to serve the people of his community and allows him time to spend with his family. He found it with Penn Global Marketing and joined the company that year. He has had an exciting career which has allowed him to support his 2 sons through medical school and travel to wonderful places across the country.